The fight has been around since 688BC. 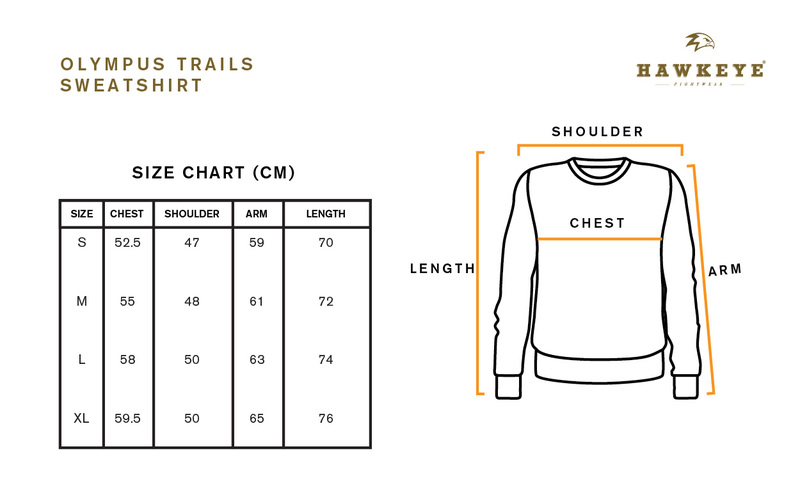 Olympus Trails crewneck sweatshirt collection designed with premium Light Heavyweight Cotton fabric from Indonesia, cut in a fighter fit that you can wear in any weather condition. Complete with rib-knit crewneck, Hawkeye logo woven on the arm side, and an Olympus Trails woven logo label at the hem.